All of that Israeli spy equipment that he used, and all of those Italian hacking programs, are still missing. So consider carefully: Have you hailed Il Duce today? Photo by the Presidencia. Although places like New Orleans and Mobile do, by and large the USA does not celebrate Carnival. So while Panamanians were out celebrating a party that the church to which most nominally belong dislikes, the US federal courts were not taking a holiday. So during Carnival Judge Marcia G. Cooke, having rejected Ricardo Martinelli’s appeal against a magistrate’s extradition order, granted the former Panamanian president bail while he appeals the extradition rulings to the US Circuit Court of Appeals in Atlanta. Alarmed prosecutors filed an emergency motion to stay Judge Cooke’s bail decision, but in any case a decision on bail by the appellate panel became moot the next day when Cooke granted the prosecution the stay that they have been seeking at the higher level. Whatever you may have read in the Panamanian dailies, mainly by those versed better in Panamanian than US law and with their sometimes unacknowledged points of view, there were ordinary decisions. Ordinarily the US courts extradite without hearing all of the merits of the case for which a foreign government seeks to extradite — probable cause suffices. Ordinarily there is no bail in extradition matters. When a judge or magistrate makes an unusual ruling to grant bail in such a case, ordinarily the prosecution gets a state if it requests one, above all because it’s so unusual to grant bail. The emergency motion for a stay rendered moot by the lower court decision, the appeals court issued its schedule for the prosecution appeal of Cooke’s main decision granting bail. The burden is on the prosecution but it’s not a “burden of proof” in the sense of proving a case beyond a reasonable doubt. Prosecutors must show why, as a matter of fact and a matter of law, bail can be and should be denied. The court gave the prosecutors — “the petitioners — 21 days to file its motion with all supporting documents. Then Martinelli’s side — “the respondent” — get 14 days to answer, with all that they have to say and attach. Then the petitioners have seven days to respond to whatever Martinelli’s lawyers might bring up. That strings the bail arguments before the Court of Appeals out into April. How long until a decision then? It will be up to a three-judge panel. Things may move quickly after that, or maybe not. The problem for Martinelli is that the probability of his prevailing on the merits of the extradition case are one of the central factors in the bail decision and the appeals court has told the parties to bring all their arguments in this motion. A compounding problem is that Martinelli has been before the Court of Appeals and has approached the US Supreme Court about bail before, when appealing the magistrate’s initial decision denying bail. In the prior bail appeals, Martinelli’s arguments were exceptionally lame, such that the Supreme Court did not grant certiorari to hear them. It was all about dissimilar cases brought up to show that bail might be granted and a bunch of procedure and interpretation that might get the attention of a Panamanian court but to a US court just looks like hieroglyphics from the legal system of another planet. 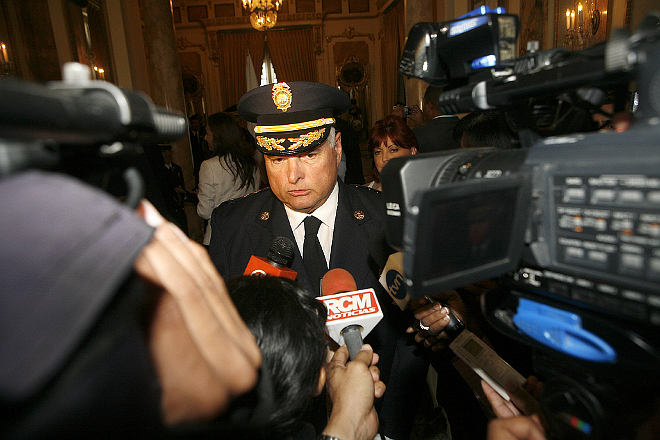 Has Martinelli spokesman Luis Eduardo Camacho telegraphed the ex-president’s substantive case? Camacho says that Martinelli can’t come back to Panama because the political and judicial conditions to get him off of the many criminal charges against him do not exist. The inability to get a fair trial, and the probability of political persecution, are the ordinary stuff of foreign politicians fighting extradition. ‘I’m this important guy and must be granted all of the usual privileges and impunity which I have grown up expecting,’ though, will put a party before a US court on a fast track toward being blown off as one with a frivolous case. And is the argument that Martinelli can’t get a fair trial before a Supreme Court with a majority of its members his appointees? The higher one gets in the US legal system, the less weight that sort of plea is likely to be given. The likely outcome of the bail matter is that sometime in April the appeals court will reject bail for Ricardo Martinelli. If that happens, look for the US Supreme Court to summarily decline to hear any further appeal of that matter. Martinelli’s strongest hope? That the often incoherent Trump administration will decide for one reason or another as a matter of policy to desist from the former Panamanian president’s extradition.